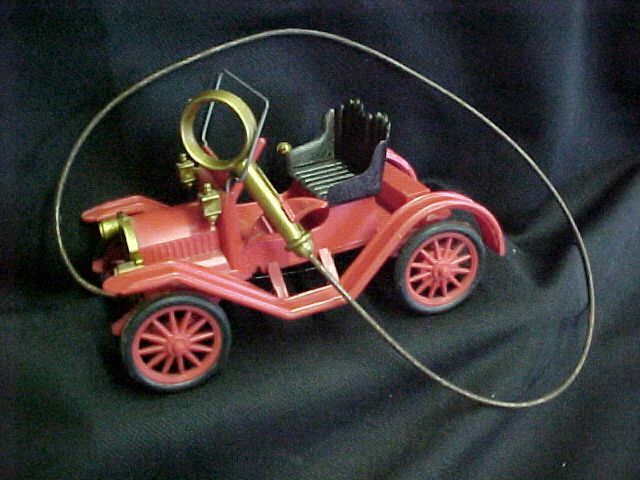 When was the last time you saw one of these toys? 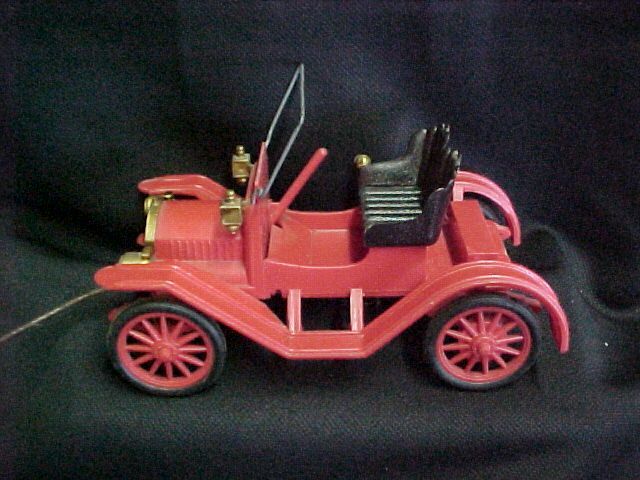 This toy was made by Revelle Toys of Hollywood California that has a patent pending marking. We do not normally sell any of our toys, but this one is something we have decided to sell. 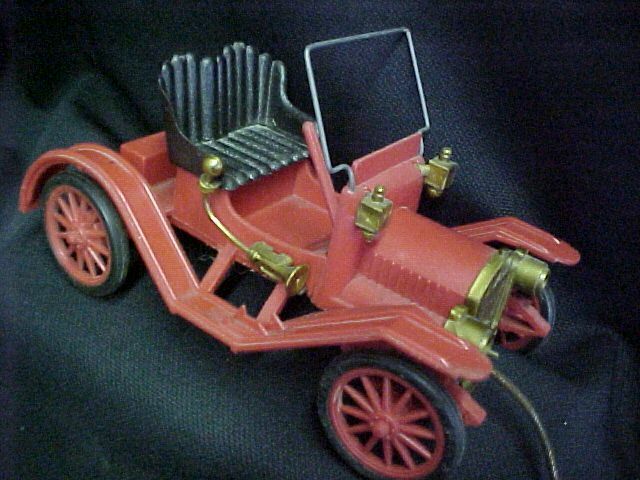 It is an all plastic car modeled after a Model T Roadster but is a Maxwell Car, name molded on the radiator, and is in very good condition and still works. 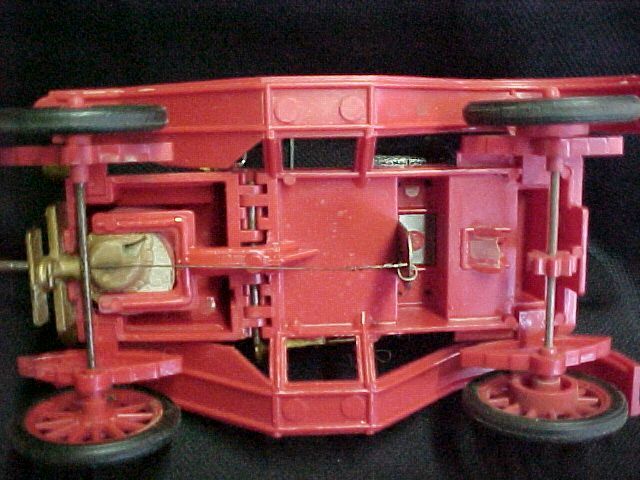 Most plastic toys are broken, so to find one like this that still works is rare. There is a cable actuator that makes this car move by a small hinge action on the floor by the firewall. It looks like there might have been a steering wheel. The windshield frame is metal. It is really a neat toy. The car measures about 7 inches long and 4 inches wide. PRICE HAS BEEN LOWERED TO $40.00. Shipping Available, in the USA, lower 48 states. Could be shipped to other locations, however, we would have to get you a rate. Call: Motion Unlimited Museum, Rapid City, South Dakota 605-348-7373 for more information.